The weather here cannot make up it’s mind! One minute it’s 30 degrees and snowing and the next it’s a warm sunshiny 54! It’s crazy! I’m keeping my finger’s crossed that good ol’ Punxsutawney Phil made a mistake and did NOT see his shadow and sunshine is headed our way! Groundhogs make mistakes too, guys! 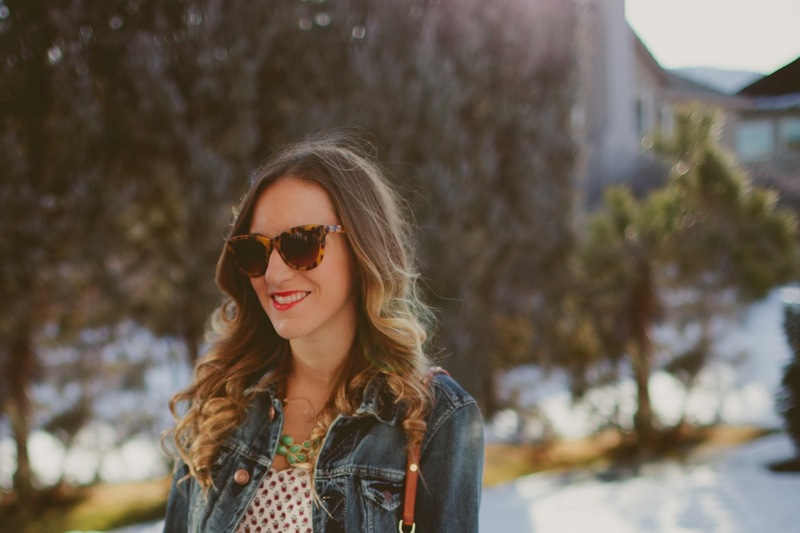 For my 4th and final Valentine’s inspired look, I embraced the sunshine and put on a pretty pink and white floral dress, denim jacket and gorgeous minty bib necklace for extended Valentine’s day weekend plans, perfect for a cutesy stroll downtown through the shops and brunch. It definitely made me want to pack away all my winter gear, but with snow in the forecast, I’m forgoing that just yet but sending good thoughts to spring to show up a little early! Tie-Dye Maxi Skirt: There is nothing better than a cute maxi skirt! I am loving this adorable tie-dye version that would be so easy to wear now with a sweater and boots and in the summer with a tank and sandals! Effortlessly chic! Midnight Dream Statement Necklace: You already know my love for statement necklaces! I adore the fresh color combo on this one and it’s priced at a sweet $9! 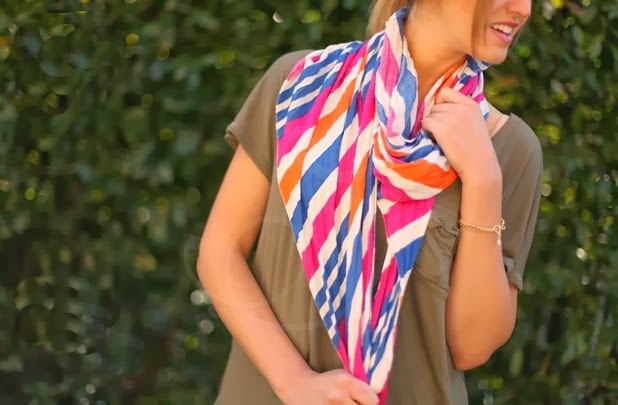 Boutique Fashion Scarves: There are SO many color/pattern options to choose from in this adorable lightweight scarf! The only problem is deciding what pattern to get!! 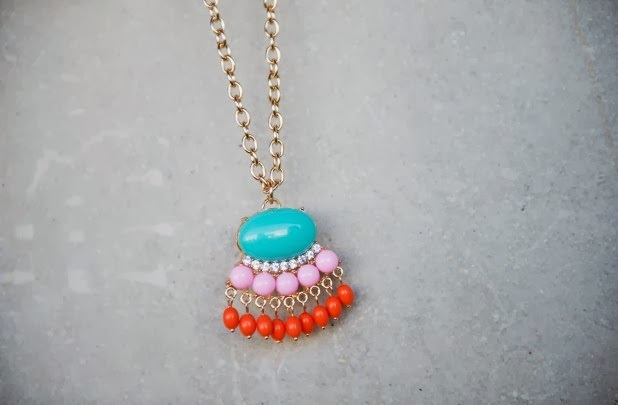 Single Fan Fringe Pendant Necklace: A cute, colorful pop of color necklace is the perfect whimsy touch to any outfit! 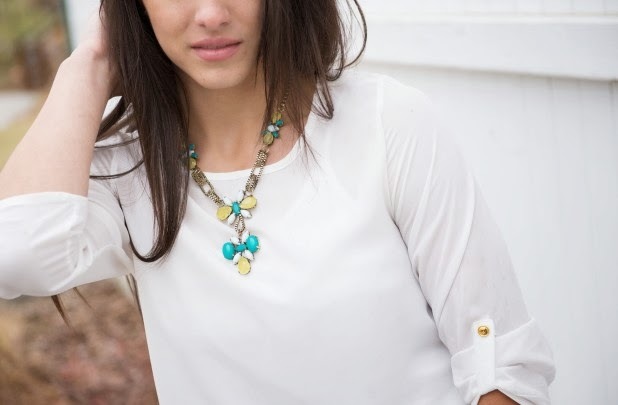 Don’t forget to enter to win a gorgeous piece of jewelry from Lesley’s Chloe + Isabel Boutique! 100% in love with this look! Love this sunny outfit ^_^ The dress is just adorable! Love that dress on you. What a great pair with the boots! Sweet pictures and a great outfit. The dress looks beautiful! Your Style is so adorable! I love this one so much. This is one of those dresses that could be styled in so many ways! Very cute!